She is a true inspiration! She is the CEO of Makeup Geek – a make-up education website on which she has tons of tutorials & has also come up with a makeup line with shades similar to the MAC ones, only at a much affordable price! On her blog http://simplymarlena.com/ she talks about her weight loss journey – which a lot of women can relate to, with her workout routine and diet. You can actually see her transformation. The good things about her videos are that they are very festive, easy to follow and to top it all she is lovely! 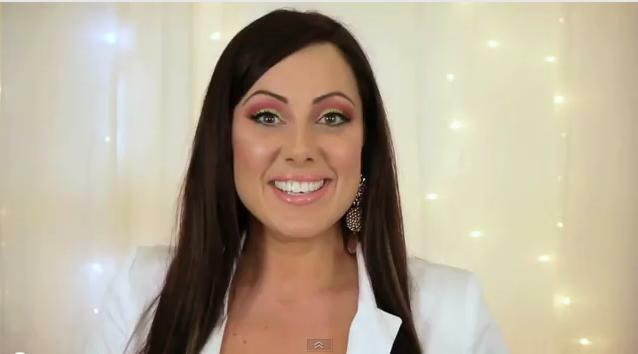 On her website http://www.makeupgeek.com/, she gives make-up reviews and has weekly challenges for the viewers to participate in. She also has a link where you can purchase the makeup geek products online.